Vlogging is the latest trend. With increasing consumption of video content across different social media platforms. In placing or reading content, people now choose to watch videos. This is the reason bloggers are now becoming bloggers. So, you need to take care while picking the best camera for vlogging. For helping you in your buying decision, I have made a list of best vlogging cameras. If you have a good smartphone and do not want to invest much on the camera, you can make vlog using the phone. Phones can now record 4K videos. But picking a camera gives an advantage. Cameras cannot record good audio, so you need to buy a good microphone for audio. The shotgun mic works well for recording Vlog. Take a look at best Shotgun mics under Rs. 10000. So, it won’t add much burden on your pocket. While shooting a vlog, you will be walking, running or doing other activities that may involve a lot of movement. So, Optical Image Stabilization plays an important role in recording a good stable video. Even if there are video editing software programs that can help stabilize footage but having it built-in the camera is better for good quality videos. In case you are planning vlogs that include sports activities, I recommend you the action camera. Vlogging cameras need to be light in weight because you will be carrying it with you most of the time. While shooting for a vlog, you will be holding the camera point it at you. If the camera is heavy, you will start feeling pain in your hand. Autofocus is another important thing. The best vlogging cameras should be quick enough to focus on what you want to show your viewers. You will be switching your camera from an object to you quickly many times in a video. So, there should be faster and accurate autofocus. Now, most of the people want to see 4K videos. So the camera should be able to record 4K or at least 1080p videos. Anything below that will not be considered good. If you are picking a vlogging camera, I recommend you to go with a 4K recording camera. Audio is also an important part of vlogs, so the camera should be able to record good quality audio with less background noise. But I still recommend you a good shotgun mic for your vlogging camera for better audio. Cameras come with a microphone jack to attach the shotgun mic. Now, most of the cameras come with a flip screen, but not all. So, don’t miss checking if the flip screen is available. It helps you in checking if you are in proper frame and focus is also proper on you. I have considered all these factors while making the list of best vlogging cameras. You can check my list of best vlogging camera and pick one. Note: There are also a few better but costly video cameras suitable for vlogging, but I focused on offering value for money without compromising the quality. Here is the list of best vlogging cameras. 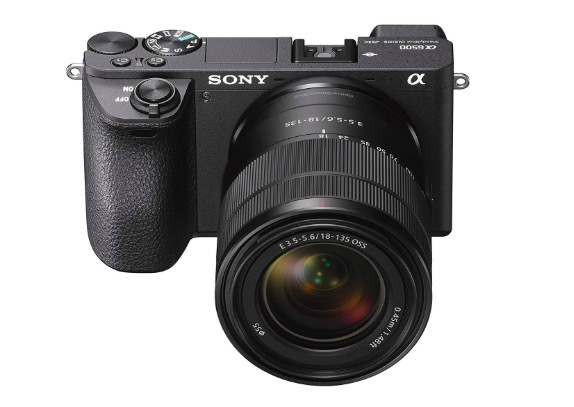 Sony Alpha a6500 is a mirrorless camera with outstanding video recording. It is a bit smaller than the full-frame camera, so becomes portable. It is a lightweight camera with a weather-resistant body. It has a 24.2 megapixels 13 EXMOR CMOS image sensor. It can capture images at stunning 6000 x 4000 resolution. It can also record 4K videos in good quality. It also features in-body stabilization and a lens that adds optical stabilization. It also features the fastest autofocus times at 0.05 seconds. It can also track moving subjects, that makes it an ideal vlogging camera. 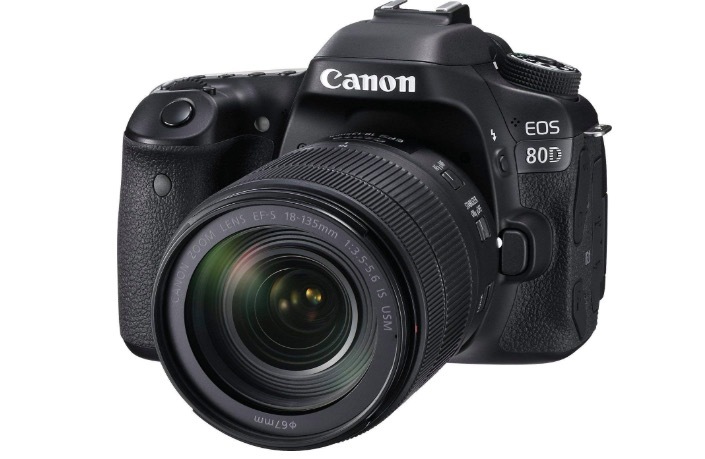 Canon EOS 80D is also a popular vlogging camera and relatively popular among people who record videos in a studio. Canon EOS 80D has a 24.2-megapixels CMOS sensor. It lacks 4K recording but its 1080p HD recording at 60fps does well. It features a touchscreen LCD for controlling camera settings including white balance, ISO, focus mode and audio control. The display is a vari-angle three-inch LCD that offers 270 degrees of vertical rotation and 175 degrees of horizontal rotation. It has a 45-point autofocus system that offers fast focus even in low light. It has NFC and Wi-Fi options for quickly transferring your footage to your system for editing. 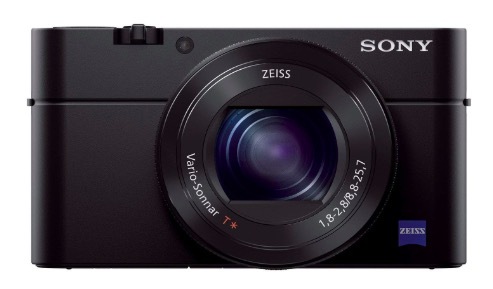 Sony RX100 IV comes with 20.1 megapixels CMOS sensor and packs DRAM chip. It has 180-degree Tiltable LCD screen and XGA OLED Tru-Finder EVF. You get up to 1/32000 second Anti-Distortion Shutter. 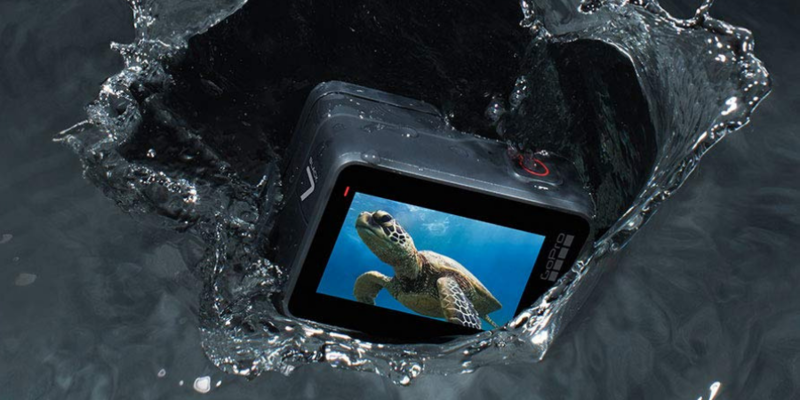 It offers Up to 40x super slow motion videos, 4K movie recording and Up to 16fps continuous shooting. 4K shooting is limited to 5 minutes per clip. You can shoot slow-mo videos at 960/1000fps, 480/500fps or 240/250fps. It comes with Wi-Fi and NFC connectivity for quick data transfer and remote access to the camera. 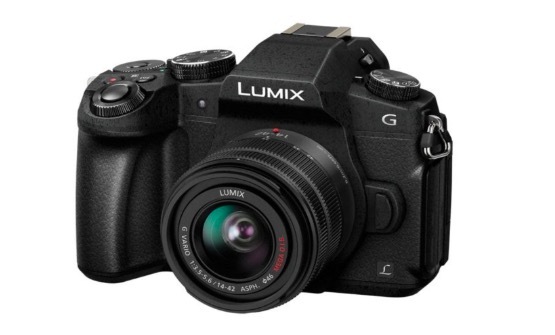 Panasonic Lumix G7 is an excellent camera for vLog and offers value for money. It is compact and comes with 16 Megapixels sensor. It has a 3-inch LCD display that can be rotated to different angles. This vlogging camera offers 4K Photo modes and can record high-quality 4K videos. It can record 4K videos at 30p or 24p frames rates It has fast autofocus and good EVF. 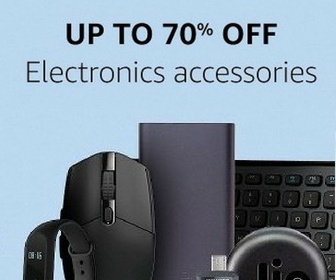 The only issue is the no headphone jack. It has 4 dials and 16 different buttons. God thing is that it comes with customizable function keys that you can customize as per your need. 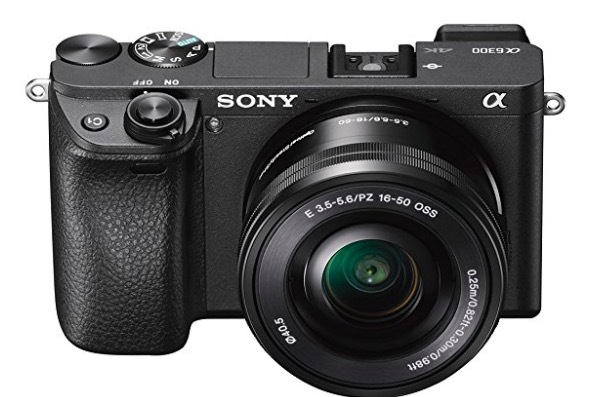 Sony A6300 is a compact camera with a 24.2-megapixel APS-C sensor. It supports 11fps standard burst shooting and offers 425-point hybrid AF. It comes with XGA OLED viewfinder as well. The camera offers Good higher-ISO performance and delivers great image quality. It records 4K video using XAVC S codec and shoots at 25 frames per second. The camera can also record 1080p at 50 frames per second and 120fps slo-mo videos. It supports WiFi, NFC, a QR code for seamless connections with the phone. 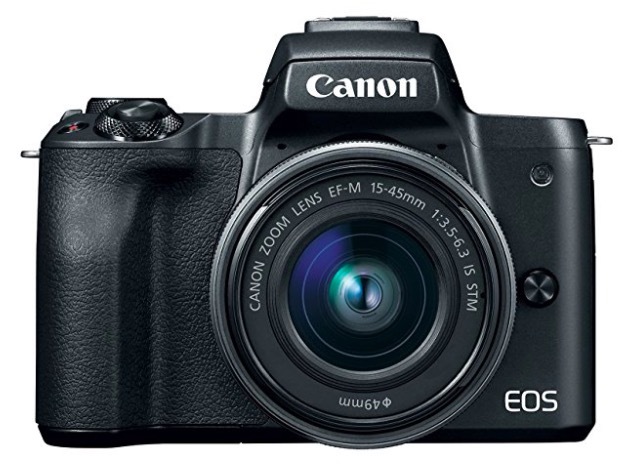 Canon Eos M50 is a mirrorless camera with 24.1 megapixels CMOS sensor. It is compact and offers excellent image quality. It supports 10fps continuous shooting. It has an LCD display that can be rotated for shooting at unusual angles. This vlogging camera can record 4K videos and gives detailed footage but the Full HD recording is better. The reason is that it cannot use Canon’s excellent Dual Pixel AF for 4K recording. It comes with a built-in 3.5mm stereo microphone socket for recording better quality sound. 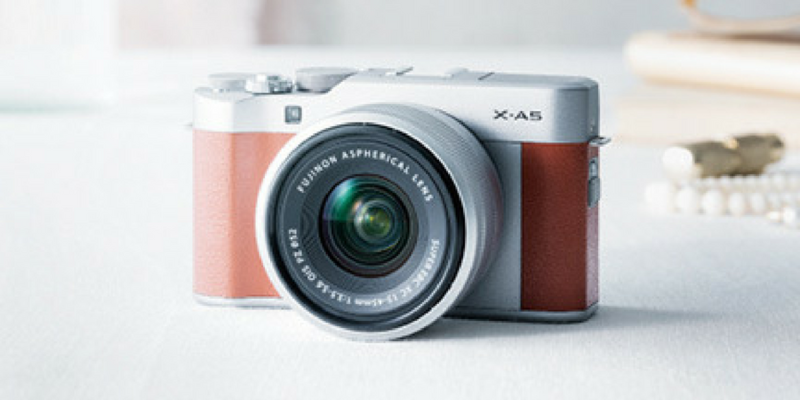 Fujifilm X-A5 is a Compact retro style camera offering good features. It as 180 degrees tilting rear LCD screen that allows you to shoot from different angles. It features 24.2 megapixels APS-C CMOS sensor. The camera has several shooting modes and exposure compensation. It can also record 4K videos but the quality is average. The maximum 4K receding time is also just 5 minutes that is another disappointment. 1080p recording is good and frame rate options are 60fps, 50fps, and 24fps. It supports 6fps continuous shooting for photos. It supports Wi-Fi and Bluetooth for wireless pairing with your smartphone. 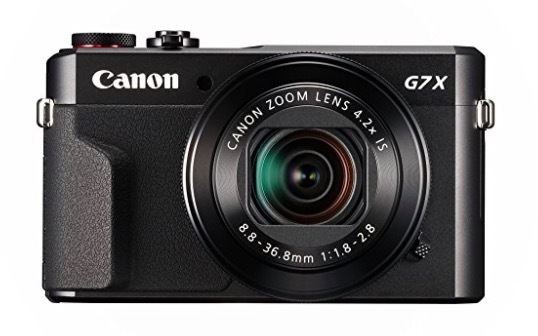 Canon PowerShot G7X Mark II is a compact camera with good performance. 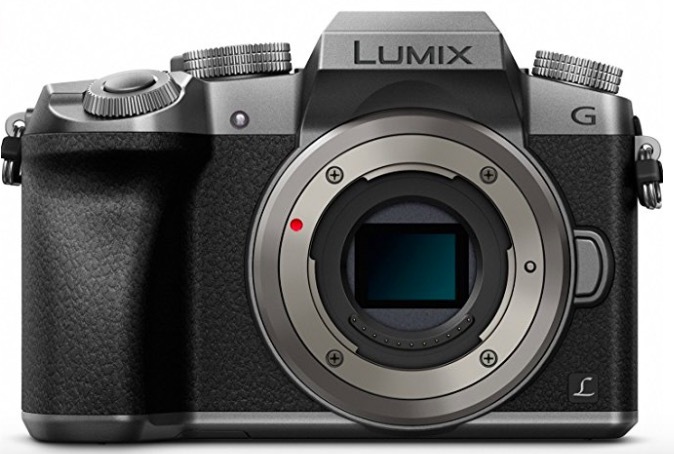 It features a 20.1 Megapixel CMOS sensor and offers 4.2x Optical Zoom roughly equivalent to 24-100mm. There is also a 3-inch touch display that can be rotated 180° upwards and 45° downwards. It supports 8fps continuous shooting and 1080p video recording. This camera records high-quality videos supported by stabilization and there is also an option of manual video controls. It features WiFI and NFC for data sync with a mobile phone. The only issue is that it doesn’t support 4K. If you want your videos to be future ready, 4K should be your priority. The absence of the microphone port is also a disadvantage. GoPro Hero 7 Black has 12 megapixels sensor and can record up to UHD 4K video at 60 fps. The most notable thing about this camera is its sophisticated HyperSmooth digital image stabilization that offers really smooth videos. Mostly it offers gimbal-like stabilization that makes it a good camera for sports Blogging. The maximum bitrate at 4K is 78 Mb/s. This camera is amazing for video recording. It also supports an external microphone via an optional adapter for cleaner audio. If you want an action camera for vlogging, You can consider GoPro Hero 7 Black. This was the list of best vlogging cameras available in the Indian market. I listed all good cameras offering good video recording. You can select any one based on your budget and preference. I have explained everything you need to know about these cameras before buying. So do not miss the description part of the cameras. If you know any other good camera for vlogging that I missed adding in my list of best vlogging cameras, let me know in the comments below.